Virtual Reality App Could Diminish MRI-Induced Claustrophobia - Augmented Reality, Virtual Reality & Mixed Reality services in Chennai, India. A multidisciplinary team at U-M has developed a VR app that simulates what it’s like to undergo an MRI. The app has the potential to alleviate patient anxiety. 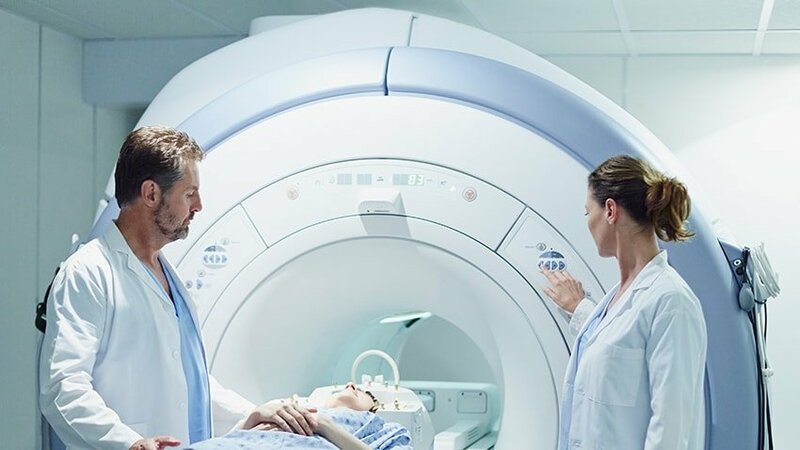 For many patients, the idea of undergoing an MRI and spending an extended period in an enclosed, narrow space is the stuff of nightmares. The noninvasive procedure is, however, an extremely useful tool to detect, diagnose and monitor many diseases. Yet patient anxiety is a real hurdle. Some patients require sedation to remain still during the scanning — nervous fidgeting often blurs the images. Others simply cancel their appointments. With this in mind, a multidisciplinary University of Michigan team from the Department of Radiology and the Duderstadt Center’s Emerging Technologies Group developed a virtual reality app this year to help patients better understand and prepare for the procedure by “experiencing” it from home. VR has been used to successfully desensitize patients with phobias for many years by providing them with simulated realities where they can safely learn to tolerate the things that they fear on their own timelines. Inspired by this success, the team hopes applying VR to MRI-related claustrophobia can improve patient care. “The goal is to decrease their anxiety about the procedure,” says Richard K.J. Brown, M.D., a professor of radiology at the University of Michigan who led the project, which was funded by a Patient Education Awards Committee grant. The experience can stream on a dedicated VR device or a smartphone paired with an inexpensive headset. The U-M team of researchers — physicians, computer programmers and digital artists — created a virtual scanning room where MRIs take place. The sounds produced by MRI scans were also incorporated to make the VR experience as real as possible. Interestingly, some of the programming tools used to develop the app are the same ones used to create interactive VR video games. The team’s digital artist also incorporated complex textures and shading in the tool to enhance the sensation of an enclosed space.